• John Fluevog's vegan shoe for spring is awesome! This tan and light-blue plaid oxford is made for rolled up pants, shorts, or anything that will show off your entire foot. $189 at fluevog.com, and it also come in two other colors from previou seasons. The green one is on sale for $129. • Arn Mercantile is a work-wear inspired, classic menswear line using only organic cotton in all their garments. Here are a few selections from the new collection. Today I wrote an article for The Huffington Post about Tim DeChristopher and the selfless, creative, non-violent act civil disobedience that could have him spending years in prison. Please share this article with friends, on twitter, facebook, tumblr, email, etc etc. 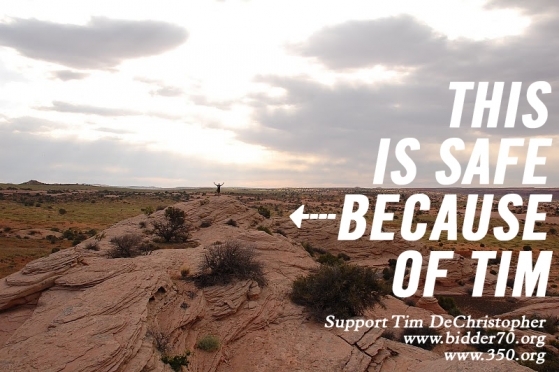 Visit http://350.org to learn more about climate change and how to stop it, learn about Tim's actions, what motivated them, and moreover how you can take action to bring us closer to a future with a sustainable and livable climate by visiting http://peacefuluprising.org.